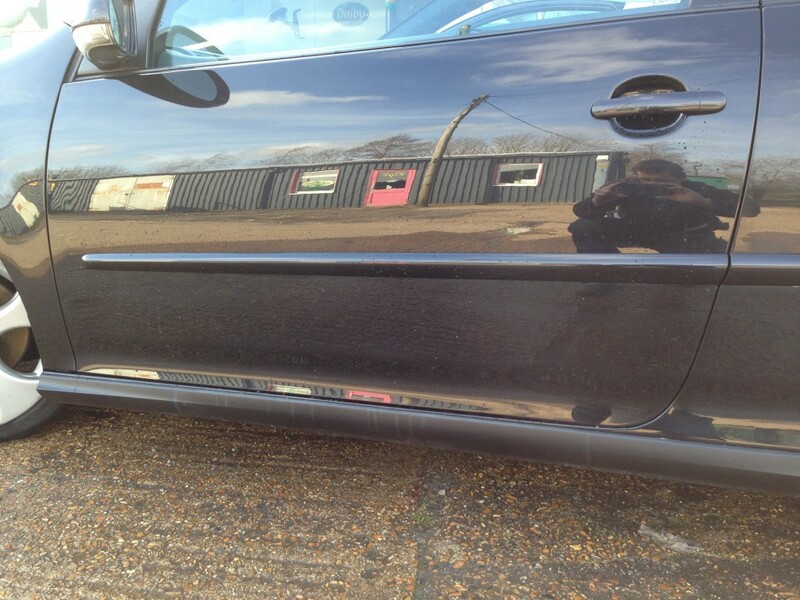 Accident repair that leaves not a mark! It is not just classic cars that need restoring. 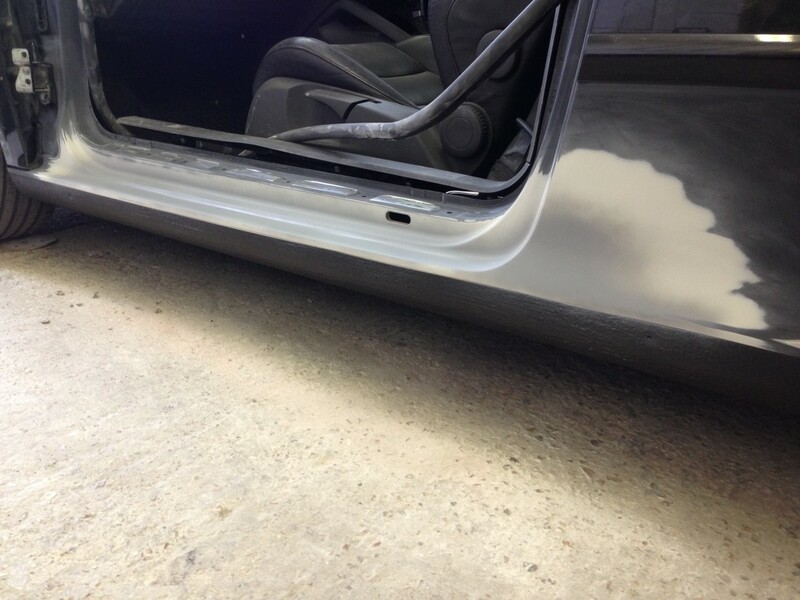 Many of the cars that we are asked to repair are contemporary cars that have been involved in a crash. Unfortunately accidents will happen and even the most careful driver can be involved in one. 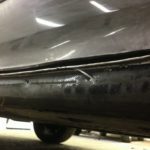 This unfortunate Golf Mark 5 GTI may have been the hottest of hot hatches a few years back but now gave way to the coolest of breezes thanks to the sorry state of its side door. It came to us as an insurance job following an accident. 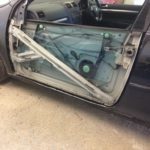 The car’s owner had heard of our rather generous offer to pay at least £100 of the excess for any insurance work we undertake on vehicles and with stripped down costs to face asked us to start stripping that damaged door out of the Golf. 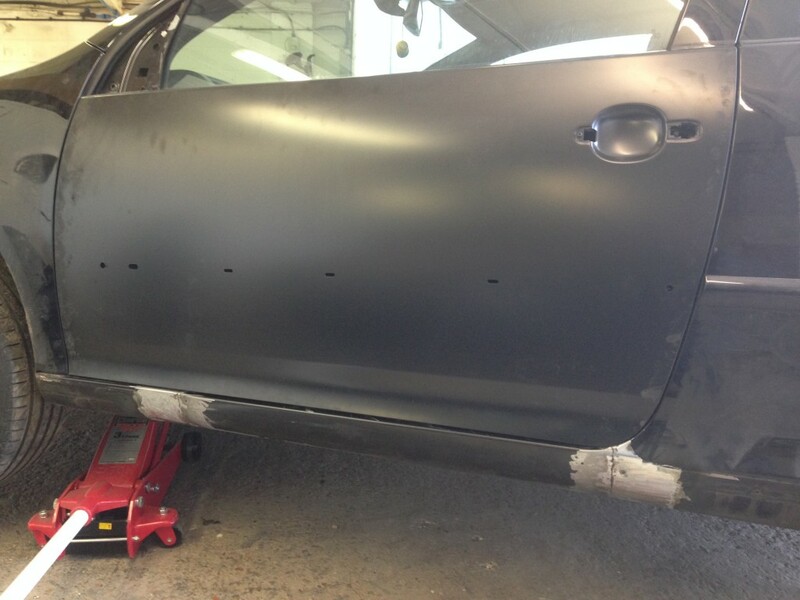 We set to work removing the outer door skin which was damaged beyond repair. 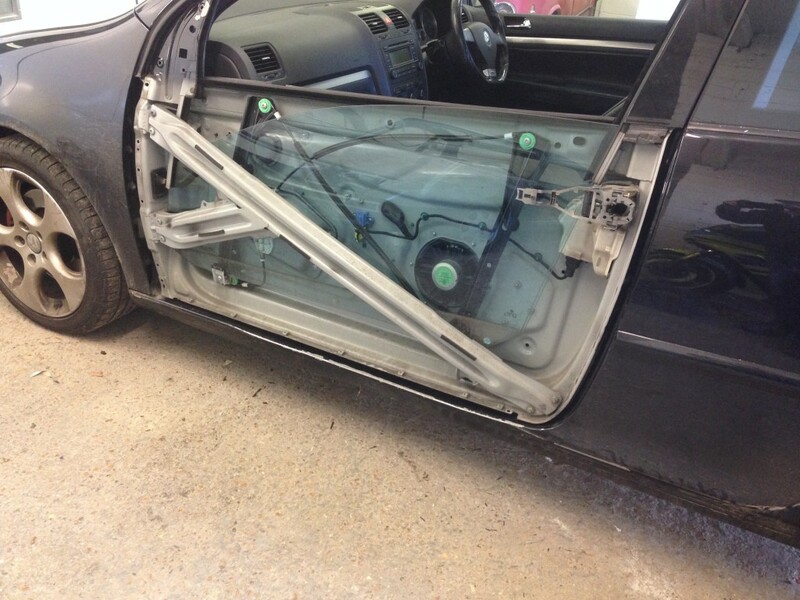 We could now fit the new outer door skin onto the door. Precision is required here as you must line up all the door gaps for a perfect, evenly spaced fit. 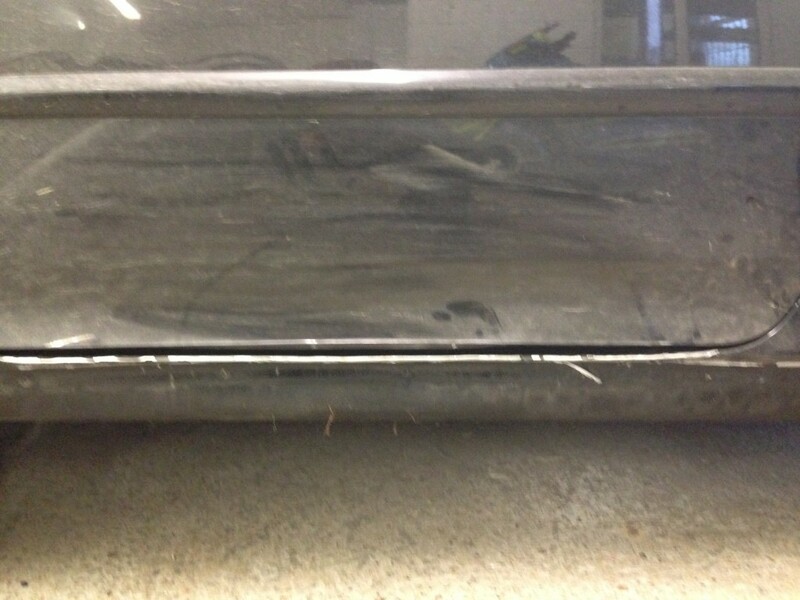 photo 3Once the door and gaps are all looking perfect the damaged sill section can be cut off and a new one fitted. 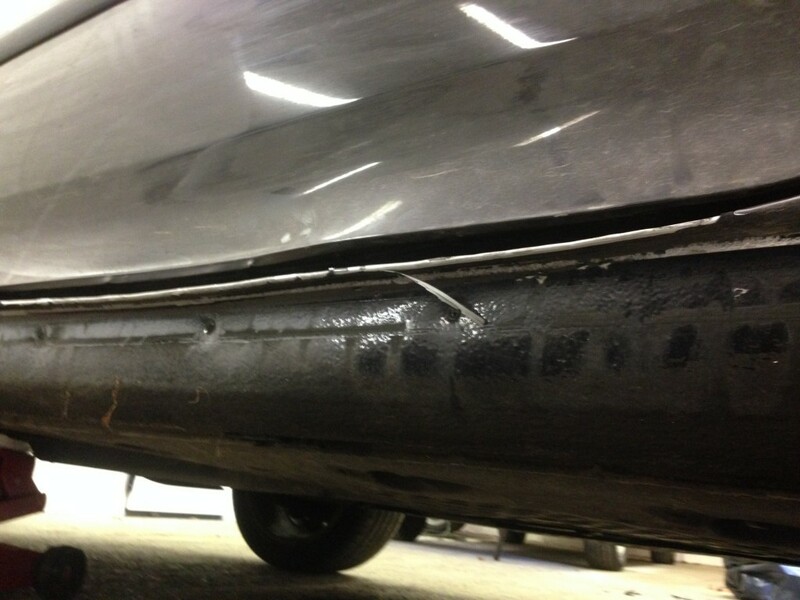 Again everything must be perfectly in place and when it is it can be welded to the car. 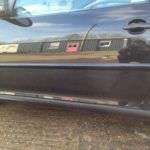 Some careful cleaning up and grinding later and the welding is almost invisible to the eye but the application of some fine filler to mask any minor imperfections gives it that perfect factory finish. 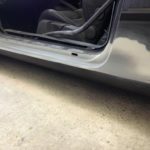 The new sill can now be sprayed with stone chip protection for durability before it is primed and painted to match the exact original colour of the car and surrounding panels. 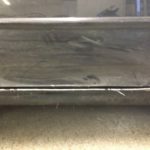 It is now impossible to tell that the car has been in an accident or see where the repairs have been made. 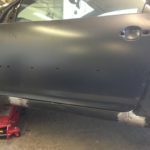 All that is left is for us to replace any trims that have been removed and present to the happy owner one as new Golf Mark 5 GTI ready to go.